You’re invited! 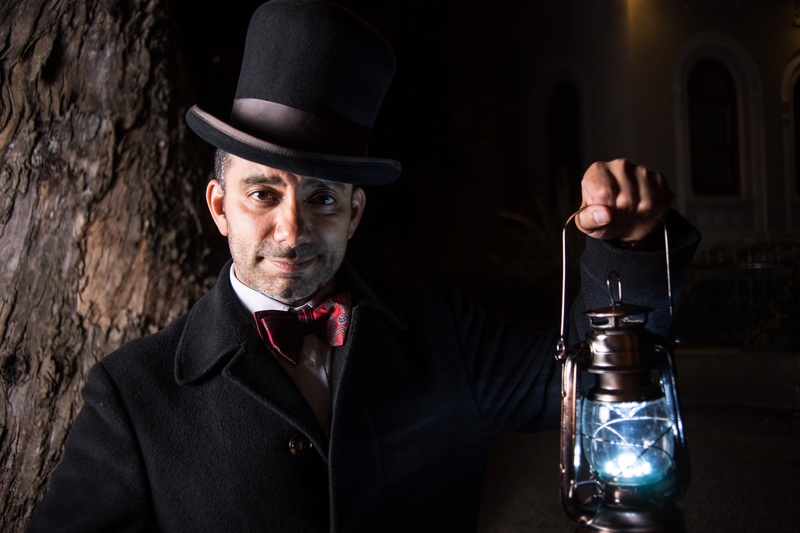 Let San Francisco Ghost Hunt take you on a thrilling trip through historic, haunted San Francisco. Join Christian Cagigal—curator for the Odd, and magician for the macabre--for San Francisco’s oldest and best ghost tour, now through October 31. Spring is in the air, which means it’s time to dust off your walking shoes and plan your next adventure! The warmer weather and longer evenings offer the perfect opportunity to take it outside. With our award-winning walking tour of famous hauntings and hidden histories, we’ve been introducing native San Franciscans and visitors alike to the little-explored Pacific Heights neighborhood and its famous (and infamous) past denizens for over 20 years. Founded in 1998 by local raconteur and paranormal investigator Jim Fassbinder—and kept alive by award-winning magician, Odd Salon curator, and performing artist, Christian Cagigal--this decades-old tradition combines San Francisco’s rich haunted history with storytelling, insider gossip, and a magic twist. Thrill to the tales of murder, mystery, and the ghost bride of California Street, while getting a fascinating overview of the families and individuals who made San Francisco what it was—and the restless spirits they left behind to carry their legacy into today. 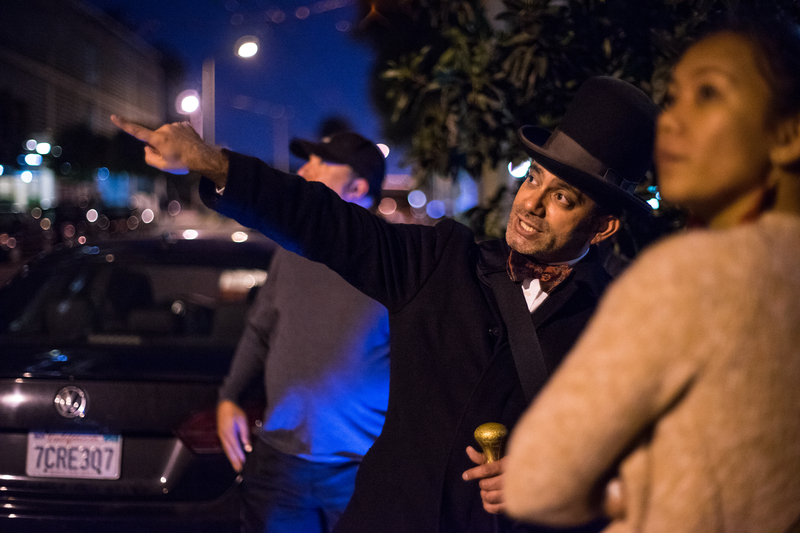 Perfect for both locals and intrepid travelers looking for something offbeat and informative, San Francisco Ghost Hunt is an essential stop on the San Francisco walking tour circuit, and of the (unofficial) network of Ghost tours worldwide. We’re looking forward to having you join us! When: most evenings, Wed-Sat, through October 31, time vary. Please check schedule for details and time changes. Where: Meet in front of the Healing Arts Center, 1801 Bush Street, on the corner of Octavia and Bush Streets. (Note: Healing Arts Center is not associated with the tour). 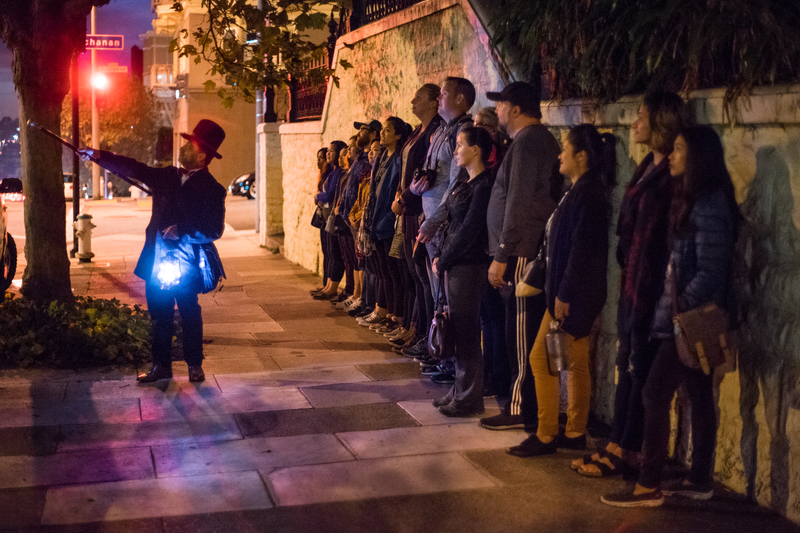 The San Francisco Ghost Hunt—the city's first ghost tour, founded in 1998—is a guided, lantern-lit stroll through Pacific Heights, one of the few neighborhoods to survive the great earthquake and fire of 1906. 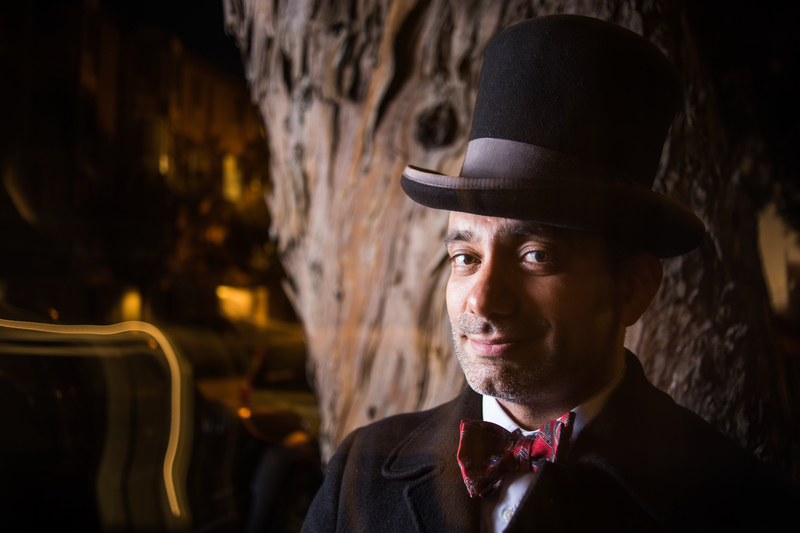 A fascinating overview of some of San Francisco’s most scandalous and overlooked histories, the San Francisco Ghost Hunt appeals to amateur historians, lovers of the magical and macabre, ghost tour enthusiasts, and flaneurs of all stripes. It’s suitable for participants of ten-years-old and up who can comfortably walk one mile in 90-120 minutes.